September 30, 2014 by Beau H.
While getting dressed casually on a budget can be done relatively inexpensively, adding dressier items into the mix makes things trickier in terms of price. Parts 1 and 2 in this men’s style budget recap (which you can see here) tackled just how to revamp your downtime wardrobe in a versatile manner, and Part 3 will set out to do the same. However, this time around, we’re diving into the best places to go for dressier items — dress shoes and dress shirt or two, along with ties and suits. Later on, we’ll wrap things up with other accessories, including watches, belts and socks. For now, suit up on a budget below! A low price for a versatile shoe in a versatile shade. While JC Penney’s dress shoes won’t win any awards from shoe snobs any time soon, don’t be so quick to turn away from this pair. While it’s a more casual-leaning wingtip shoe (which some would say makes it harder to wear with suits), a lot of us don’t seem to have jobs that require a suit every day of the week. And in those instances, it’ll work just fine. If you have the capital to invest in a higher-quality shoe (even something from the Mercanti Fiorentini line at DSW would work), go for it. But these shoes provide a similar look for a much lower price. On top of that, when worn as part of a rotation throughout the year and when mixing in other business-casual styles, these shoes should hold up alright for the price. Reviews have been largely positive, another plus for these shoes — and it’s worth noting they can drop down to about $50 when on-sale. They’ll also work with jeans and chinos alike (for more on budget alternatives for those styles, check out Part 1 in this series). On top of that, this pair is available in multiple shades, including the versatile dark brown (which would even work with a charcoal suit or pants). Staple colors at terrific prices. 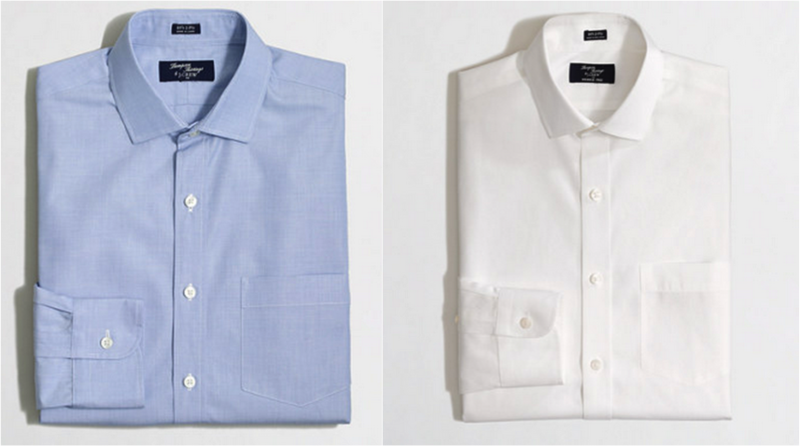 Quality can be hard to maintain when delivering dress shirts at a discounted price, but J. Crew Factory meets that challenge. Unlike other brands (such as Express), J. Crew Factory’s shirts seem more consistently on-sale, especially if you can get into a store during a promotion (currently, one shirt will set you back about $43). Available in staple colors like white and light blue — two shades that go with practically any suit-and-tie combination you can think of — their dress shirt offerings also include stripes, prints and other patterns. And their quality, while a step down from J. Crew, is on-point with similar budget brands. Starting out with two of these in your basic colors expands upon an already solid casual wardrobe. Don’t forget that these shirts, despite the ‘dress shirt’ title, can be worn under v-neck sweaters or cardigans alongside jeans, too. Two wardrobe staples well-suited for more casual or dressy wear. There’s a reason GQ uses products from The Tie Bar month after month after month in its shoots. For a fraction of the price of other high-end ties, The Tie Bar delivers the same styling and pretty darn good quality, to boot. While the sheer array of fabric choices and variety of ties on their website is overwhelming at times, the brand makes terrific ties at terrific prices. And for all the wide varieties they stock (including a dizzying 62 pages of bow ties), they do the essentials very well, too. 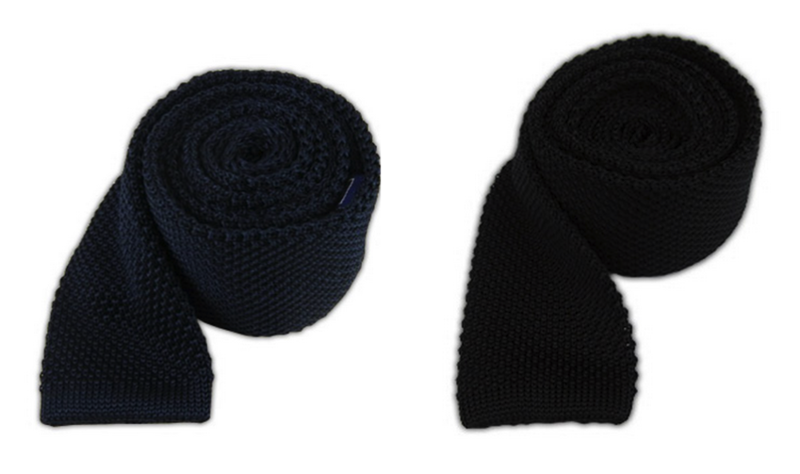 If you had to start with only one or two ties to pair with the restock you’ve already taken care of, reaching for either a navy or a black knit tie would be one great way to go. The silk knit hits on both casual and dressier fronts —either color goes with virtually any outfit combination from chinos to jeans (although a navy knit tie should be worn with brown accessories), and there’s a reason James Bond wore a black knit tie. Additionally, the price makes it easy to throw one of these in your cart along with other accessories — like a white cotton pocket square, an all-season essential that’s the perfect finishing touch to a blazer or suit. So, if you start with one go-anywhere, do-anything tie (like the navy knit) and toss in a versatile pocket square, you’re looking at a price that hits the sweet spot. In a classic color like navy, this J. Crew Factory suit is worth the extra money. When you need a suit on a tight budget but prefer a step up in quality, turning back to J. Crew Factory is once again the way to go. Their line of Thompson suiting has drawn high praise across the blogosphere and with customers for exceptional fit and quality for a budget-tier suit. This year’s run of suits appears to be no exception. The brand doesn’t do anything overly fancy — standard double-vent suits in worsted wool that could work in a pinch in nearly any season. The color offerings are the perfect starter’s set for a suit — charcoal and navy options, along with some flannel fabrics mixed in and a chino option for the warmer months. If you’re just jumping into the suit game, either of those staple colors (navy or charcoal) would be a great look — their neutrality, while not flashy, provides so many options for mixing and matching. The pants, crucially, come in a slim-fit option. Admittedly, the line doesn’t have the pedigree of J. Crew’s Ludlow suits, yet you get nearly a dead look-alike for the price. Take that navy suit, throw it together with a light blue dress shirt, navy knit tie and white pocket square as discussed above, and you have an office-ready outfit While the price, even on discount, might cause some eyes to pop, this suit is a definite upgrade from a standard department store offering, or a more affordable option, like Express. On top of that, the suit brings versatility with it. 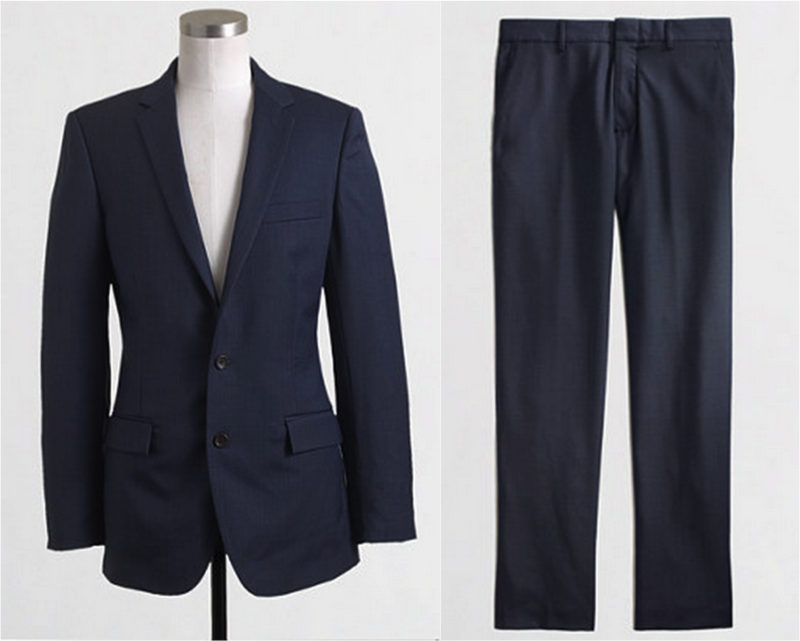 In a tight spot, the jacket can function as a blazer with chinos, for example, while the pants can be worn on their own with other dressier offerings. Editor’s note: This rundown is pretty focused on the color blue, no? Fear not — shake things up with some wild socks! So, the total for today’s dress essentials comes to about $475 — quite a lot of money in comparison to last year’s men’s style starter kit. However, these items are the basics of a dressier wardrobe, yet can do so much more. Break up the shirts and knit ties with sweaters and jeans, wear the wingtip oxfords with chinos and suit pants, and use the jacket as a blazer when needed. The color palette of most of these offerings, as well, can be mixed and matched with plenty of other choices. Plus, paying a bit more money for a few basics up front can ensure you get more use out of these items than you would when picking them up from a cheaper retailer. Keeping these essentials in mind will save your pocketbook more in the long run. After all, building great style on a budget is fun, but having more money left over to go out and wear those clothes is infinitely better. Do you have any go-to’s for dress essentials on a budget? Alternate picks? Leave it all below! September 26, 2014 by Beau H.
This week on Siblings with Style, we’ll tackle Part 2 in the somewhat extensive process of building a starter wardrobe on a tight budget. Last year’s post tackled how to revamp a wardrobe for under $250, while Part 1 of the new series last week took a look at the basics you need on your legs — affordable, stylish jeans, chinos and shoes. But, style isn’t just one portion of the ensemble — looking your best is about tying in many separate parts across different seasons, different trends and different situations. Consider these picks as a starting point (or a restocking point) for both casual knits and shirts, as well as sweaters. In the next post, we’ll tackle dressier essentials on a budget. For now, let’s keep it casual — look below for (almost) everything you need up top. In a wide spectrum of colors and styles, Old Navy’s your go-to for casual shirting. The world of casual T-shirts and other items can actually get pretty extensive, between the different variations on laidback stylings (V-neck? Crewneck? Pocket tee? Henley?). And it’s no use spending hundreds of dollars on a simple T-shirt. But, no need to skimp on style, either. One location is a tremendous starting point for all of these various essentials — that’s right, Old Navy. As covered on this blog in a Starter Style Review earlier this year, the store is a veritable outpost of affordable knits in all of the variations listed above. Need some basic v-necks that you can wear on their own or underneath other items? Want a slim henley in a fall-appropriate color? Fancy a casual polo for the warmer months? Old Navy’s the spot. And with several variations on colors for polos, shirts and henleys alike, the store could (and should) become a one-stop shop for various layering needs. The best part is undoubtedly the price — it seems many of these styles retail for, at the most, roughly $20. Assuming you pick up three to start (say, a long-sleeve henley for cold weather-layering, a V-neck T-shirt and a crewneck T-shirt for casual wear), those purchases wouldn’t set you back more than $45 when bought on sale. For about $50, you can get the above two shirts right now. Not a bad deal at all. There’s a plethora of options out there when it comes to shirting — in this particular roundup, we’re looking at shirts that aren’t designed to be worn with a suit (while that’s broad, think Oxford cloth button-downs and other styles). Many brands are now making terrific-looking casual shirts, but in this case, one brand offers a great mix of pricing and slim, modern styles — Uniqlo. They offer a wide selection of slim-fit Oxford shirts (as seen above) in a wide variety of colors, and frequently run deals on 2 shirts, for example. 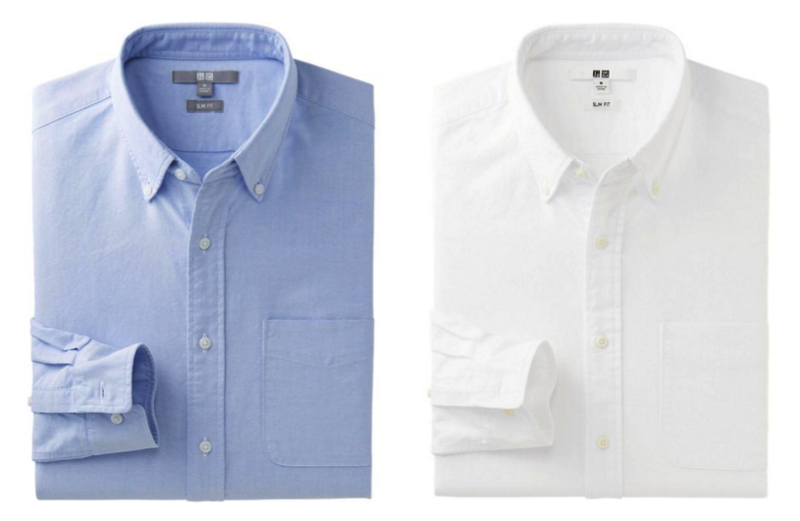 In fact, 2 Oxford shirts will set you back roughly $50 — a pretty neat discount when you consider the wearability of a classic white OCBD. If you had to start with two picks, you could absolutely find them at the mainstay Japanese brand. A pretty thorough selection of denim and flannel shirts in a diverse color spectrum rounds out their casual shirting selection quite nicely. The one area they appear to be lacking in would be colorful, playful patterns — in that case, searching J. Crew Factory can offer some deviation from the typical solids or checks offered by Uniqlo, at about the same price point. From extra fine merino to lambswool and cashmere, Uniqlo delivers. Moving up to sweaters (another versatile outer layer as it gets chilly), sticking with Uniqlo is actually a wise choice here. While sweaters from comparable budget brands like J. Crew Factory definitely stack up favorably when it comes to quality, saving money wherever possible is definitely recommended when going through a wardrobe revamp. Although, if you can afford to shell out a few extra bucks per sweater, go for it. Just like their selection of casual shirts, Uniqlo offers excellent variety when it comes to sweaters. From extra fine merino crewnecks in bright shades to striped cardigans that mix things up just enough, the selection is on-point. Plus, a sweater can act as a neutral base to richer color combinations, particularly in fall and winter. More importantly, Uniqlo’s offerings even include cashmere (likely not the best, but worth a mention) and thicker lambswool knits. The cashmere sweaters do creep up towards the triple-digit mark in terms of price, but the extra fine merino wool seems to strike a nice balance in terms of fabric and price. As to those with quality concerns, while it’s clearly not the highest-quality sweater on the market, personal purchases from Uniqlo have held up more than fine with regular wear and proper care. Pick up two extra fine merino sweaters in versatile colors to start, and you’ll be well on your way for about $80. So, for today’s entry, the total is roughly $175 — again, substantially larger when compared proportionally to the casual shirts portion of last year’s budget recap, but when considering that this round-up accounts for multiple styles from multiple sites, it’s really not that bad of a deal. Additionally, items from these categories can be mixed and matched — wear a V-neck T-shirt under a cardigan, or a casual buttondown shirt with a V-neck sweater. On the bottom, reach for any of the essentials in last week’s post, and you have a sharp and stellar combination. Any recommendations for brands you would include? Favorite stops for casual shirts and sweaters? September 19, 2014 September 29, 2014 by Beau H.
The process of building great style on a budget is incredibly tricky and only getting trickier, as it seems retail prices are on the up-and-up everywhere (especially at mainstay stores like J. Crew). Budget style has been a frequent focus of this blog (check out the Starter Style series for more on that), but there’s always room for improvements and updates. Last year, I covered how to build a start-up wardrobe for under $250; think of this series as a revamp to that, with a slightly wider selection and some new categories. This first part will tackle the basics you need on your legs — chinos, jeans and shoes, namely. Next week, we’ll tackle casual knits (tees and henleys), casual and dress shirts and sweaters, and then wrap up with accessories. Without further ado, dive in below to check out how you can start to update your wardrobe for as little green as possible. 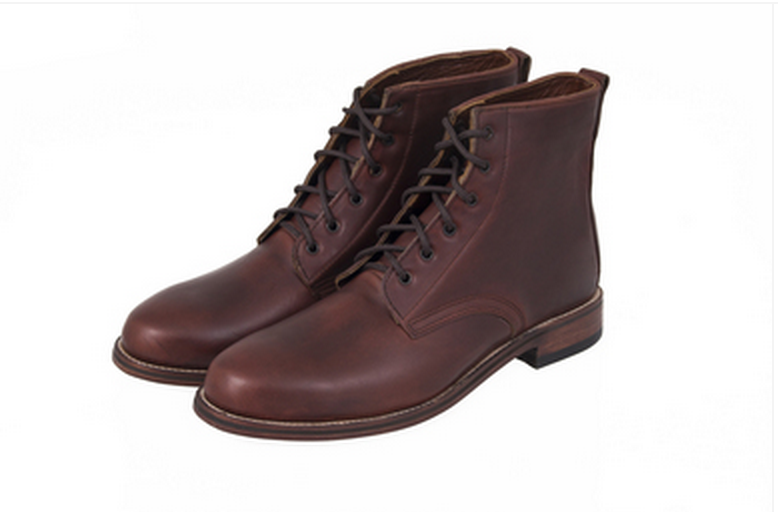 The ever-versatile brown chukka boot. 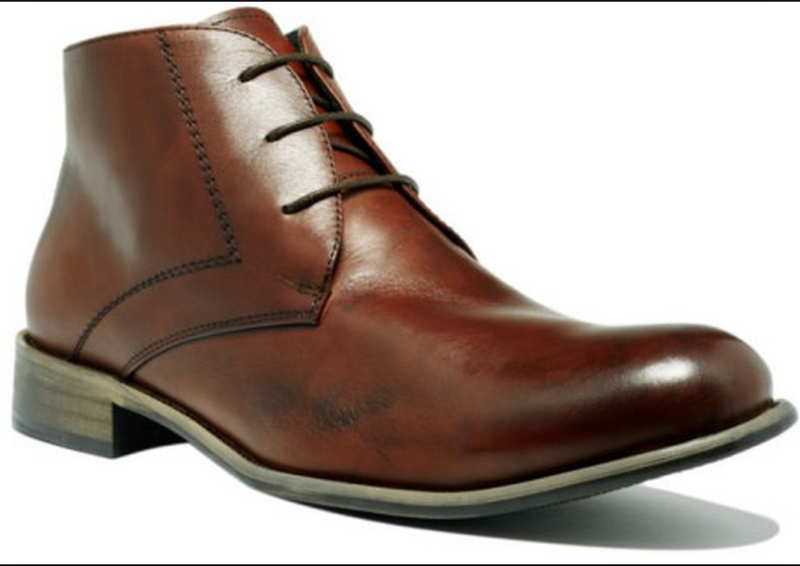 Starting from the ground up, if you had to go with, let’s say, just one pair of shoes to start, it’s hard to go wrong with a versatile chukka boot (this model’s out of stock right now, but a similar option can be found here for only about $5 more). With just the right amount of sleek styling and in with a build that’s adaptable to both business casual situations and more casual-rugged outfits, this particular chukka pays homage to the more laidback Clarks desert boot while looking more polished. It just looks more natural to wear this with jeans off-duty than a regular, low-cut dress shoe, as well. And in a rich brown, this shoe works across all seasons and can even stand up to harsher fall and winter weather. When considering adding in a pair of casual sneakers on a serious budget, look for a lightweight, neutral plimsoll, like these from Urban Outfitters. 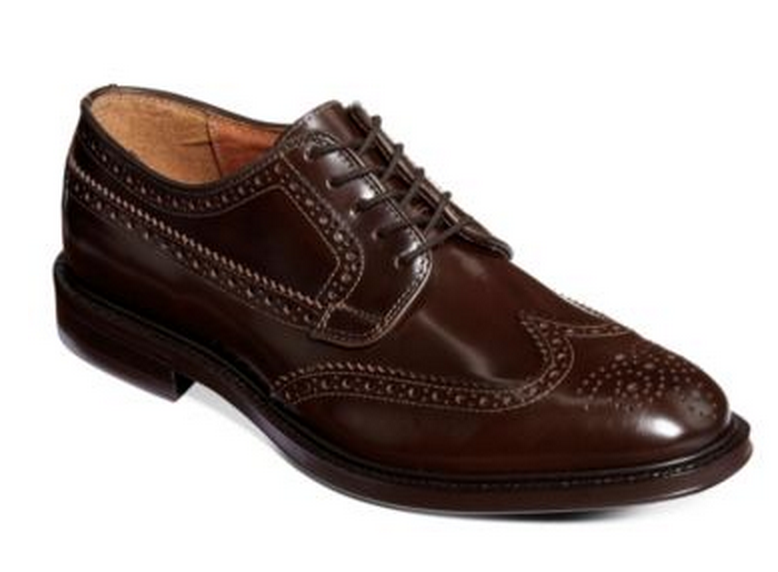 Lastly, if you do happen to need plain old dress shoes, this pair from JC Penney should get the job done in a pinch. When it comes to buying jeans, it’s really tough to beat a classic original like Levi’s. For about $50 right now through the Levi’s website, you can pick up a pair of great-fitting, dark denim — a wardrobe staple that can be almost worn anytime, anywhere. In both business-casual settings and in any casual situation, a dark, slim pair — like the Levi’s 513 — won’t steer you wrong. At such a low price, it’s much more cost-effective to pick up a few pairs than paying more for one expensive denim. Durability isn’t sacrificed to an extreme degree, either. On a personal note, a pair of Levi’s 508’s (now the 522 model) have held up for well over two years with heavy wear — and that’s just one example of their durability. In a versatile, all-season shade of tan. Unfortunately, dark denim does need to be put aside for more formal business and office settings, and it’s also nice to have different pairs of versatile pants for other situations, too. That’s where a pair (or multiple pairs) of slim chinos can fill in. They look more office-ready than dark denim on some occasions while still staying budget-friendly. Most importantly, don’t make the mistake of thinking the chino can’t be worn casually, either — check out great ways to style them over here at Effortless Gent, as written by yours truly. 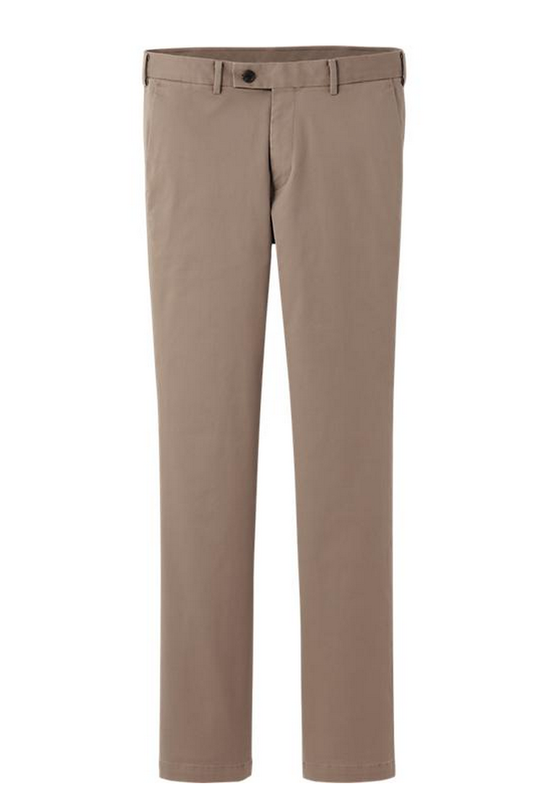 Uniqlo’s offering a tan chino right now for an outstandingly low price — know that sizes and colors are limited now, but keep an eye on their site for more of these. So, starting with just the basic styles here and building off of those, you’re looking at about $200 in total (keep in mind that last year’s style breakdown set the overall budget at $250). However, that’s spending on three pieces that can work practically anywhere, and do so for a long time. And, when dropping more on certain items, it’s wise to know when to cut back in other areas. Look for more next week, when we’ll tackle a full range of shirting options for the stylish guy on a budget. Any suggestions for alternatives to these styles? Favorite budget picks for jeans, chinos or shoes? September 8, 2014 by Beau H.
Now that Labor Day’s rolled right on by, it’s time to seriously start thinking about snagging some key style pieces for fall. While the eyes of the fashion world have been focuses squarely on spring 2015 this week in New York City, the rest of us should probably be focused on more affordable (and wearable) style than what’s seen on the runways. With that in mind, it’s still important to take stock of what’s currently in your wardrobe, and what could use a refresher — seasonal additions in appropriate colors (like a rich burgundy or a faded indigo) are always a great way to shake things up. And on that note, I’ve had my eye on some purchases for the colder weather; hopefully, some of these picks make it into your closet as well! 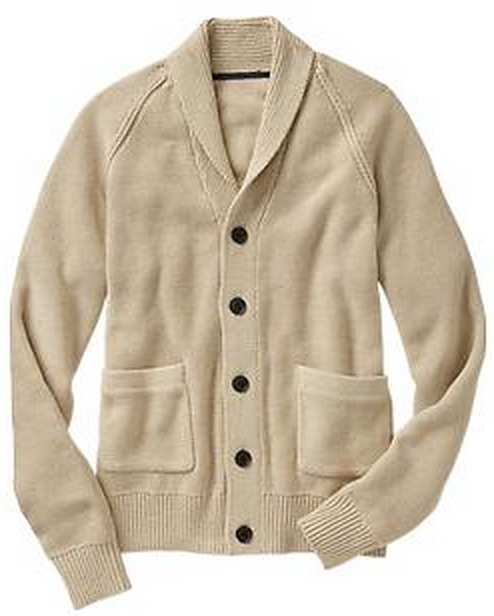 A fall (and winter) cardigan thanks to the shawl collar and cream color. A chunky cardigan is a terrific alternative to a more traditional V-neck sweater, especially with a thicker shawl collar, like this one. In a cream shade, it’s also ideal for fall — it provides a nice contrast to darker, rustic colors, like auburn, burgundy or navy. 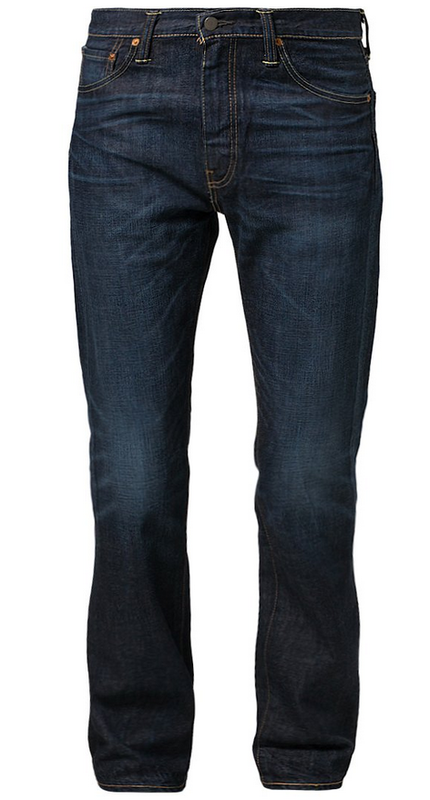 It would also pair extremely well with a chambray shirt, thanks to the rugged-looking collar and patch pockets. It would also layer well over a henley or under a peacoat (and for more on a nice potential winter coat pick-up, read on below). A cheaper alternative to Wolverine’s 1000 Mile boot. While this brand isn’t what you might think of when reaching for a pair of boots (Wolverine’s stellar 1000 Mile collection comes to mind) that’s exactly what makes them a great pick-up. This pair is still a deep, rich shade of brown that’s on-par with the similar Wolverine boots, yet these have a slimmed-down appeal — a less aggressive toe, considerably smaller shoelace eyeholes and a sleeker overall shape. Now, from a brand with arguably less of an emphasis on craftsmanship and less history than another competitor like Wolverine, quality concerns could arise. But as part of a rotation with other boots in the fall, these are most likely a solid pick-up. Fit for fall and beyond. A classic navy peacoat will never really go out of style, but it’s always nice to have a change of pace on hand when needed. This slick-looking option from Saturdays Surf NYC does just the job. Also available in navy, this heather grey number is a visual standout. 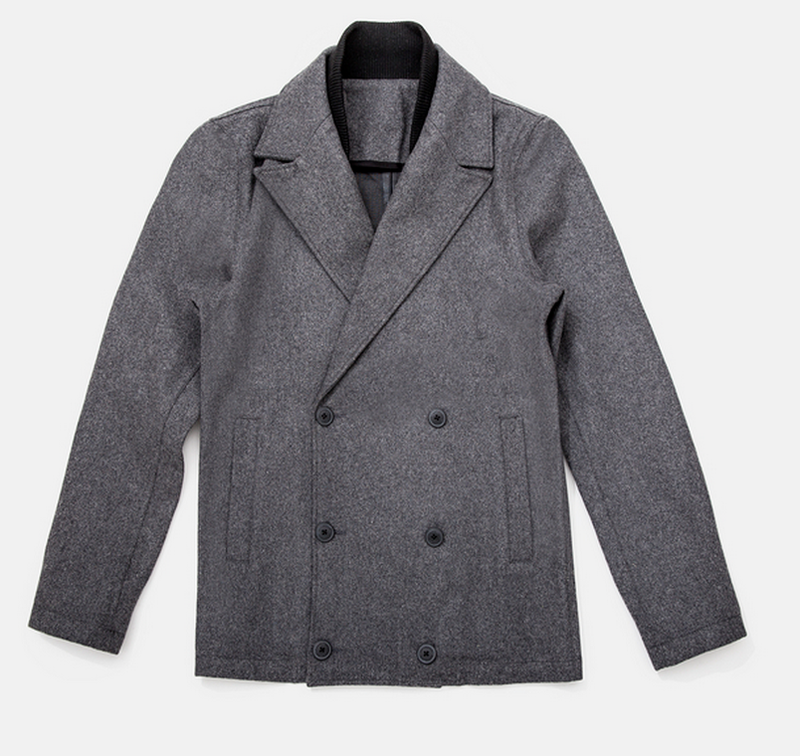 A slim cut and an additional built-in collar are welcome updates to this classic piece of outerwear, and the price tag is substantially lower than the much-coveted Bond peacoat from Billy Reid — making this a welcome alternative. 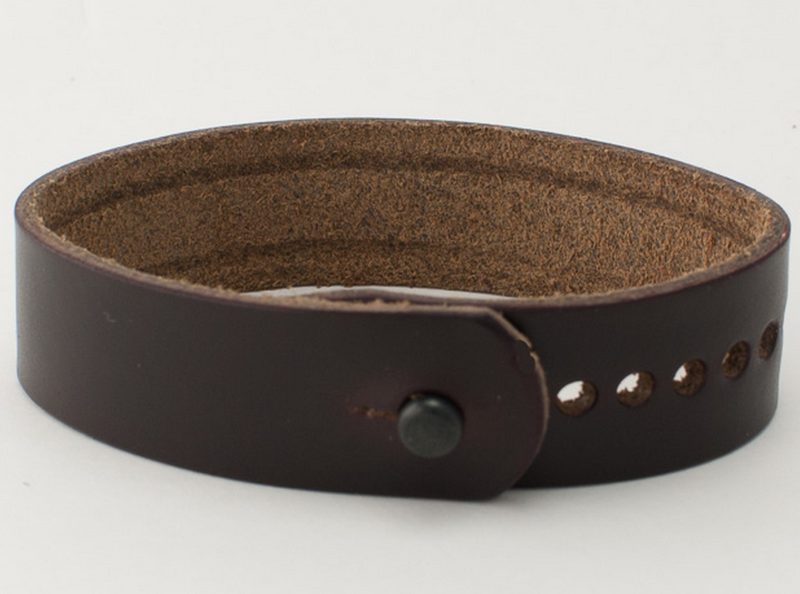 Changing up the typical black or brown-leather strap. While a black or brown-leather watch is great to have on-hand (or on-wrist, rather) for repeated wear, sometimes your watch game needs an update. Much like a patterned watch strap can provide a jolt of color to your spring and summer wardrobe, a unique shade of leather more than gets the job done in the fall and winter. I’ve already got a black-leather strap from form-function-form, and if the quality of this strap is anything like that one, it’ll hold up quite well over time with repeated wear. And the great thing about this shade of burgundy is that it can provide a needed (yet seasonally-appropriate) pop of color against black shoes, while working well with rich shades of brown. What’s on your fall wish list? Any planned big purchases?